Our culture is full of sayings and popular quotes about the relationship between our chronological age (the number of years since your birth) and how old we feel. It should come as no surprise that this wisdom, passed down through generations, is in fact an astute observation of aging. There’s a lot more to how old you are than your age, and now more than ever, science is backing up that truth with studies and discoveries. How is this relevant to your bone health? The Medical Establishment has defined osteoporosis as an inevitable “disease” that is linked to a certain time of your life based on your chronological age. According to the factors they consider, nearly every middle-aged and postmenopausal woman is a prime candidate to end up with an osteoporosis or osteopenia “diagnosis”. Today we’ll take an in-depth look at the scientifically-based difference between chronological age and biological age. We’ll also delve into the top causes of declining health attached to biological age, and ways to combat those detrimental changes. Ever notice how people who are the same age can seem like they’re not the same age? One person can be spry and healthy while another is hobbled and hunched, even though they were born on the very same year. If you suspect that not everyone’s biological age matched their chronological age, you’re right, but you might find the range truly shocking. The fastest aging participants managed to suffer the deterioration of two to three years of aging over the course of a single calendar year. These individuals scored worse on tests of a variety of skills and bodily systems, the day-to-day impact of which is clear. Equally troubling is the cognitive decline of the fast-aging participants. Their minds were deteriorating at multiple times the rate that you would expect for someone their age. This makes it clear that your lifestyle and the state of your body are a better indicator of your likelihood for disease or injury than merely your age. Conversely, some participants had the health and physiology expected of someone younger than they were. They were aging slower than the average person in the group. The researchers went so far as to suggest that doctors shouldn’t consider chronological age alone in their assessments of disease risk. They correctly posit that a metric for calculating biological age would be far more significant and accurate. But How Do We Figure Our Biological Age? The short answer might be: how healthy are you? But there’s a race on to figure out a deeper and more scientifically specific metric. One study published in the journal Genome Biology attempts to isolate a group of 150 genes that collectively give a well-rounded picture of someone’s biological age. The methodology of the study involved taking RNA samples from the muscle of the participants in a subject group of the same age, then isolating the 150 gene set hypothesized to be reflective of biological age. They then examined the results of medical tests on the participants in many different areas, both physiological and cognitive over many years. This way they were able to tell how well the gene set both expressed the subject’s current biological age, and how accurately it predicted their risk for various diseases or conditions. 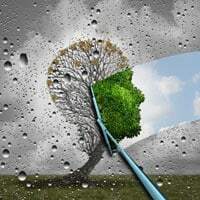 The pattern of RNA expression that they uncovered, those 150 genes, provided a “healthy aging” gene score that could be used as a more accurately representative figure for present and future health than chronological age. This particular conversation should sound familiar to anyone who is engaged with bone health. As mentioned earlier, the Medical Establishment considers osteoporosis as an inevitable consequence of aging. And once an osteoporosis or osteopenia diagnosis is confirmed, patients are prescribed dangerous and ineffective drugs to “treat” the “disease”. By contrast, at the Save Institute we recognize each person as an individual with individual needs, and propose holistic approaches to change your life in ways that reduce your biological age. That’s what the Osteoporosis Reversal Program is about: to help you reduce your biological age (including that of your bones, of course), regardless of your chronological age. Fortunately for Savers, the tools to keep your biological age advancing at a slower rate than your chronological age are already at your disposal. I have written at length about ways to improve your diet, sleep better, and live your life more fully. 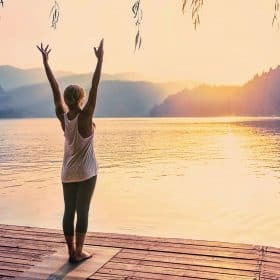 Now let’s have a look at two studies that help explain how certain common-sense lifestyle changes can improve your health and reduce your biological age. Science shows us that the length of telomeres matters a whole lot. You might be wondering what these telomeres are and what they have to do with your health. Telomeres are little caps on the tips of the each chromosome that prevent them from deteriorating or accidentally fusing with a neighboring chromosome. As cells divide and age, bits of the telomeres are lost, so their length can be used to measure the age of a cell. This cell turnover, and subsequent telomere deterioration, increases due to factors including obesity, smoking, diabetes and lifestyle habits. The shorter your telomeres, the older your body is, regardless of the number of years you’ve been walking the Earth. Like all the other elements of physiology measured in the studies described above, people of the same age can have markedly different lengths of telomeres. In a just-published study, scientists at the University of California San Diego looked at the relationship between an excessively sedentary lifestyle, exercise, and telomere length. They took blood samples from 1,481 participants who were already enrolled in a long term study of postmenopausal women. To establish accurate information about the activity level of the women in the group, the scientists gave each participant an accelerometer, which is effectively a step-counter. This method makes the study for more reliable than studies that depend on self-reporting of activity levels. The researchers also charted which women got at least 30 minutes of moderate-to-vigorous physical activity on a daily basis. The results of comparing these data sets reinforce a common sense truth of physical health. Sitting too much and remaining too sedentary, specifically doing so without the benefit of physical exercise, are a big detriment to your health. The effects of this are manyfold, from heart disease to bone loss, but this study uses telomeres as a metric by which to judge the cumulative physical toll. However, if the women got regular exercise, the amount of time they spent sedentary did not correlate to preternaturally shortened telomeres. Once again, and in the clearest possible terms, science confirms that exercise literally keeps you young. Once again we see that exercise is a key ingredient to the extension of telomeres, and subsequently to the extension of life. Notable in this study is that the effect of exercise scales up. The more movement based activities the participants engaged in, the less likely they were to have shortened telomeres. At the Save Institute we’ve always advocated the importance of regular exercise for bone and general health. It’s a core part of the Osteoporosis Reversal Program, and we firmly believe that it needs to be a part of everyone’s health regimen. 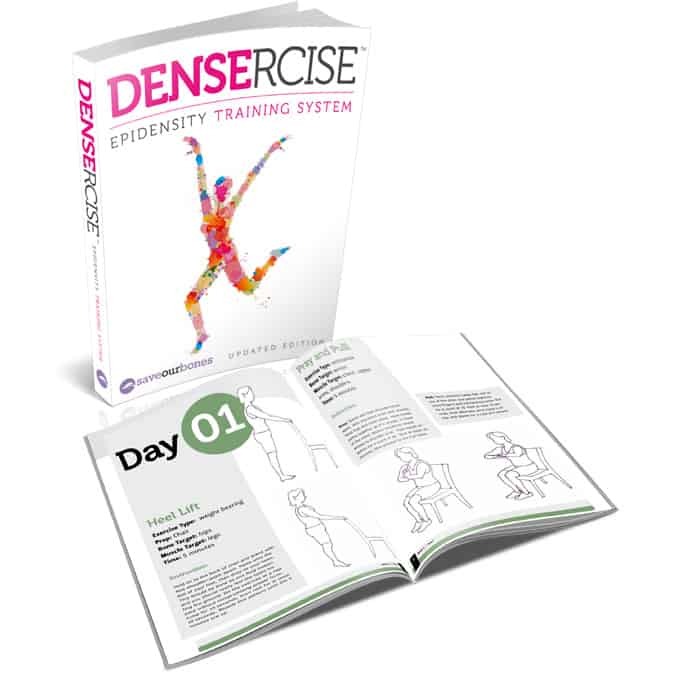 For that reason, I created the Densercise™ Epidensity Training System, to provide you with a step-by-step guide that shows you 52 bone-building exercises designed for optimal bone health, and for improving your fitness level, to help you lower your biological age. Don’t let your chronological age stop you from exercising and from staying strong and young! If you didn’t get it yet, try the easy-to-complete exercise routines in Densercise™, and begin to lower your biological age while building your bones. Thank you for your timely advice. Except for my two exercise classes each week find it hard to motivate myself . Your emails are so inspiring. Awesome article. Exercise the key to sedentary jobs.. Thanks so much. Been lazy after got back from my daily work and with low interest to move about aggressively. 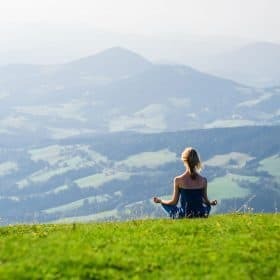 This article is great to remind me of what am loosing out . Blessings to your tireless effort/contribution to keep us healthy ! Very interesting topic, Thank you so much, give more reasons not to complain and keep on moving. Also ,I have nutribullt which I blend all vegetable like carrots ,cellary ,spinach ,….with almond mild .is it right to do it ??? I think I purchased Densercize on my prior computer, but I am not sure. Is it possible to use my email to see if I purchased it? If I did, is it possible for me to download it again on my new computer? My old one crashed, and my files were lost. Thanks!